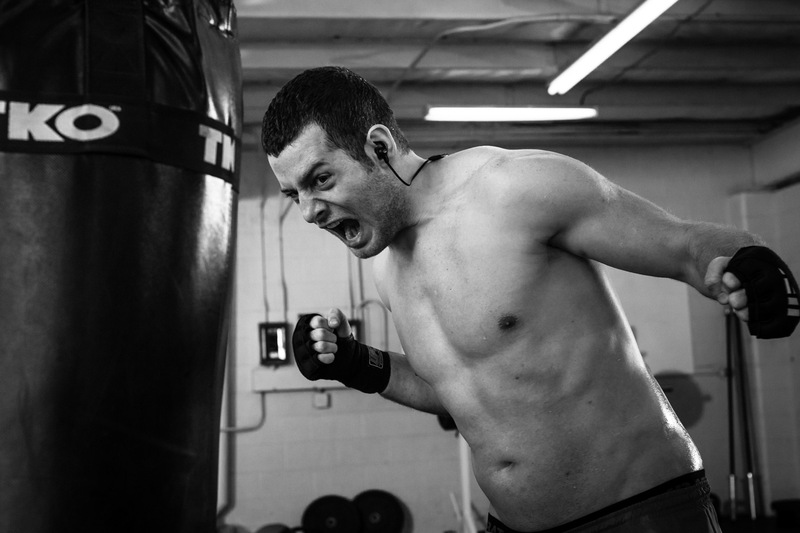 MMA fighter Will Hatcher trains in a cross fit gym in Portland Oregon. He injured himself right before this shoot, so that pain in his face is real. Monster iSport commissioned the project.